This January marks the one year anniversary of Nurture and Thrive! I started this blog not knowing quite what to expect. My hope was to reach a few parents and make a difference by giving practical tips based on child development research. The number of parents who signed up for my newsletters or followed me on facebook and pinterest exceeded my expectations! Reflecting on the year, I’ve learned a few things. Based on research or not, there is no single method that works for every child. As parents I think we should aim to fill our toolbox with tips and ideas that will help us to respond to the challenges we face with our children. When you have tools available and ready to go, the next time your toddler throws a tantrum or your four-year-old refuses to get dressed, you’ll have ideas of how to respond rather than having a knee-jerk reaction — which if you’re anything like me is less than desirable. The goal isn’t to always have the answer or to have a perfect response, but to try to connect, engage and empower our children through the times that they need a little help from us. 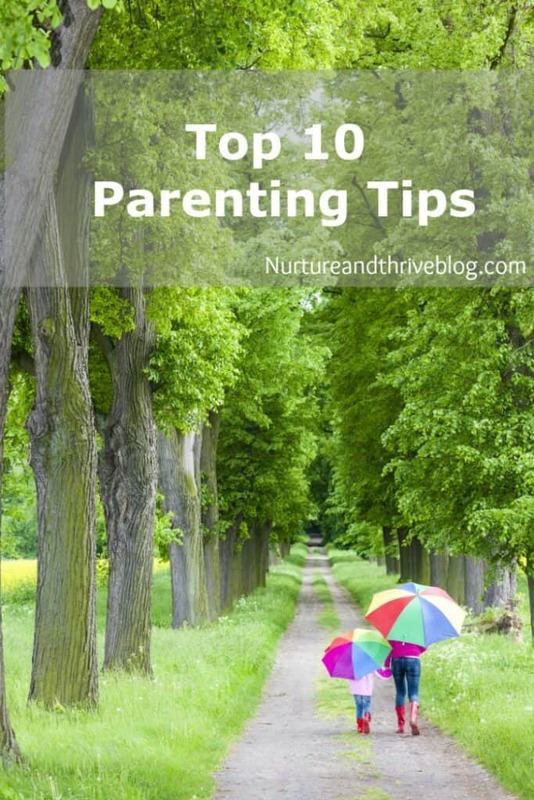 So, in that spirit, here are the top 10 parenting tips and posts from the past year on Nurture and Thrive! And don’t miss the many wonderful tips from my fellow bloggers on The Jenny Evolution. 1.The One Thing to Say When Disciplining Your Child Help kids change their behavior by empowering them– try this one phrase! 2. 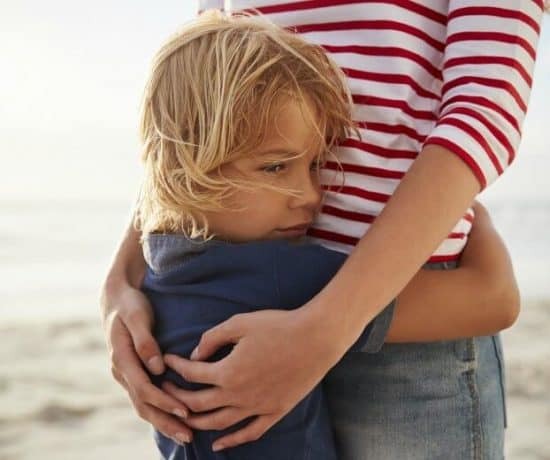 Three Quick Tips to Help Kids Calm Down Does your child ever say “I can’t stop crying,” get stuck in an emotion, or have trouble expressing anger? Free printable! 3. 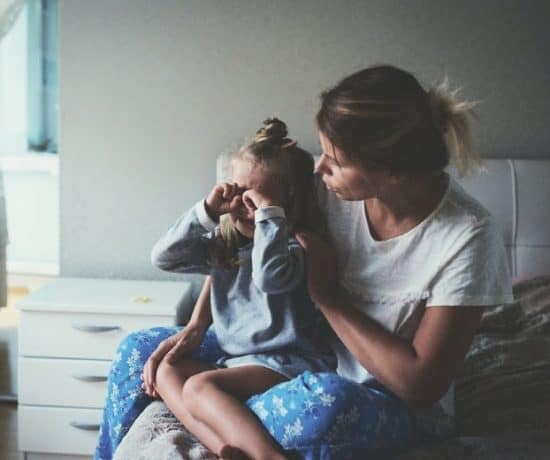 The Most Important Skill to Teach Children Why self-regulation is so important in early childhood and 5 key ways to nurture it in your child. 4. Is Your Child a Dandelion or an Orchid? Sensitive parenting can change the course of development. Some children are resilient, some are more sensitive. Practical action plan for parents included! 5. Two Simple and Empowering Ways to Limit Your Child’s Screentime Like it or not our children are growing up in a tech world. Give them strategies to regulate their exposure even at an early age. Printable TV tokens included! 6. How to Get Your Child to Listen Trouble getting your child to cooperate? Perhaps your child needs a ‘listening helper!’ Practical action plan for parents included! 7. Building Resiliency Through Humor We often think of how to foster skills in our children, but what about humor? Humor is a gift we can give our children that will stay with them their whole lives. Practical action plan for parents included! 8. Increasing Attention with Play Children gain so much through play. How to encourage independent play and five tips to help children develop focused attention through play. 9. Making the Most out of Storytime Make storytime really count! Use this proven method to increase language and reading ability in young children. Free printable! 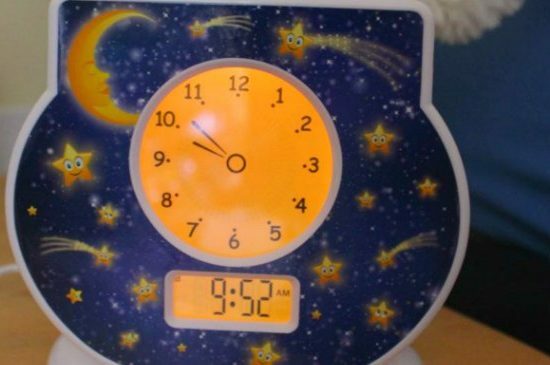 10. Review of Three Toddler Alarm Clocks Is your child getting out of bed too early? Coming out of quiet time? Resisting bedtime? Make the abstract concept of time more concrete for young children with the use of a color changing clock! 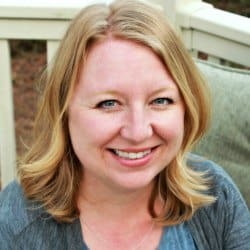 I hope your parenting toolbox is considerably fuller! Follow me on facebook, pinterest, or sign up for my newsletters to stay tuned for more tips! We use humor in our all the time to help our kids learn important lessons and see that things aren’t always as tragic as their young minds may think. We definitely believe humor helps us get through those tough days, too. Thank you Jennifer! 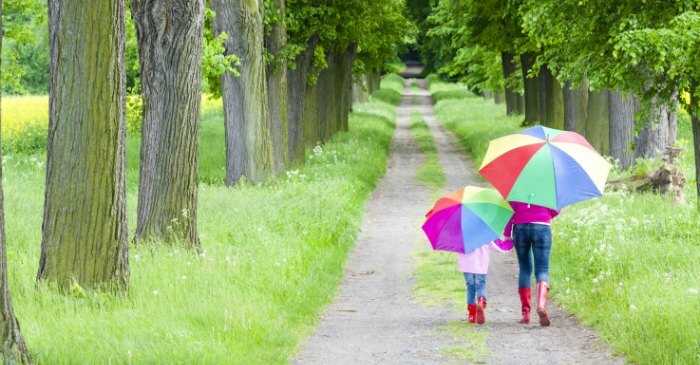 I am honored to be a part of the Best Positive Parenting Tips series. Humor is such a great tool and is so effective as well. We use it alot in our house too! Great parenting tips Ashley, my wife and I are always looking for more positive ways to impact and engage with are children. Thanks again, and I’m looking forward to your 2016 top posts.